I’ve been trying to take better care of my skin lately, taking the time to have a proper skincare routine, and making sure I cleanse properly. Since sticking religiously to a good skincare routine I’ve seen some great results, and I’m now a big cleanser fan. I’ve been trying out all sorts of cleansers to find the right one for my skin, and along the way I’ve found a couple of favourites. The first of my favourites is the Eau Thermale Avene Gentle Gel Cleanser that I picked up recently. I’ve been lusting over this for a while after hearing some good things about it, and I’m really glad I picked it up. I’ve never used a gel cleanser before, but I really love the consistency of this, it feels really soothing on my skin and doesn’t irritate or rub at all. Another cleanser I’ve been trying out lately is No.7’s Beautiful Skin Hot Cloth Cleanser. I’ve never really tried any of No.7’s skincare products before, but this one was given to me by a friend and I’ve been using it for a few weeks now. Like most hot cloth cleansers it feels really smooth and creamy on my skin, and even makes taking off my makeup easy. 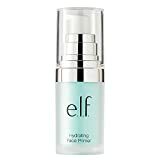 It’s really soft to use on my skin, and I’ve found it makes it look a lot brighter. Another favourite cleanser would have to be Liz Earle’s Hot Cloth Cleanser, the holy grail of hot cloth cleansers. I’ve been using this for years, and I’ve even convinced my mum to start cleansing with this. It feels so gentle on my skin, and just like No.7’s it’s really easy to take off my makeup with this. I’ve been using these three cleansers in my skincare routine for a while now, mixing up which one I use each week, and I’m really seeing some good results with all three. I’ve never had one single cleanser that I go to, and I think these three will be in my skincare routine for quite a while. Do you have more than one favourite cleanser that you love?